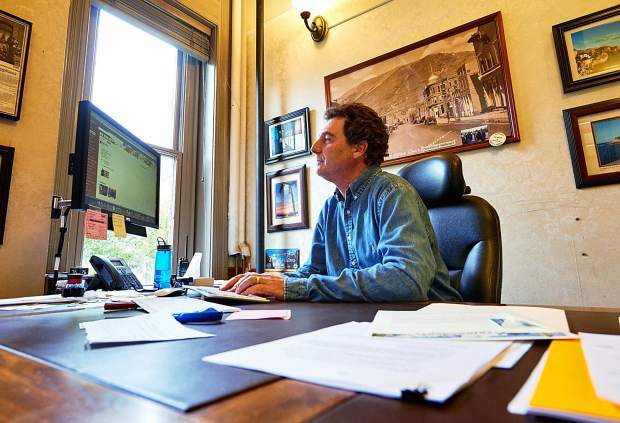 Pitkin County Sheriff Joe DiSalvo sits at his office desk in 2014. DiSalvo reported $43,986 in monetary contributions toward his campaign for re-election. Pitkin County Sheriff Joe DiSalvo raised nearly $10,000 more for his re-election campaign this year than the other six candidates for county offices combined, according to campaign finance reports released Wednesday. DiSalvo — running for his third four-year term as sheriff — reported $43,986 in monetary contributions for the period between July 21 and Tuesday, according to his report filed with the Pitkin County Clerk’s Office. 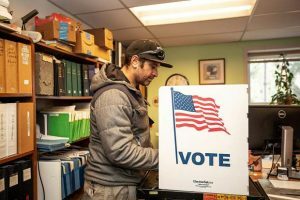 The rest of the six candidates for Pitkin County elected offices — including DiSalvo’s challenger, Aspen police Officer Walter Chi — raised a total of $34,213, according to the reports. Notable contributors to the sheriff’s campaign include former pro bicycle racer Lance Armstrong and three family members, who each gave $500; as well as $500 from Oliver Hudson, a Los Angeles actor and son of actress Goldie Hawn; and local investor Karim Souki, who gave $500, according to the reports. Armstrong is identified in the documents as a “celebrity podcaster,” according to the report. Aspen restaurateur Jimmy Yeager, former Olympic skier Andy Mill and longtime Denver lawyer Harold Haddon also contributed to DiSalvo’s campaign, the report state. By contrast, Chi reported total contributions of $2,519, which included a $1,500 donation from himself, according to his report. Aspen police Officer Ian MacAyeal contributed $100 to Chi’s campaign. 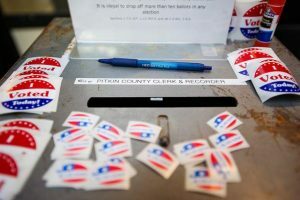 Besides DiSalvo, the next largest amount of donations reported this week was from Pitkin County Commissioner Patti Clapper, who reported $12,103 in contributions, according to her report. Local and state politicians made up most of her notable contributors. 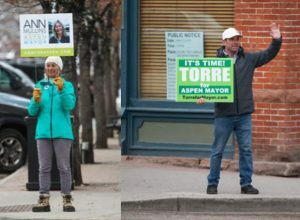 Those contributors included Colorado Attorney General candidate Phil Weiser, who gave her $50; Pitkin County Commissioner Rachel Richards, Clapper’s colleague on the Pitkin County board, who gave $50; as well as $250 from Aspen City Councilman Bert Myrin; $100 from DiSalvo; and $25 from former Aspen Mayor Mick Ireland, who is running for assessor. 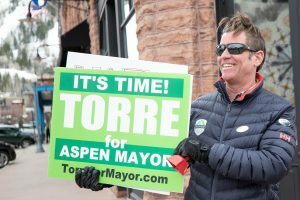 Clapper’s challenger, Aspen businessman and restaurateur Rob Ittner, reported contributions of $3,821. That included a $200 contribution from himself and a $500 donation from longtime local and former Boogie’s Diner owner Leonard “Boogie” Weinglass, according to Ittner’s report. Ireland — who is running to replace longtime Pitkin County Assessor Tom Isaac, who is retiring — reported total monetary contributions of $6,722, according to his report. 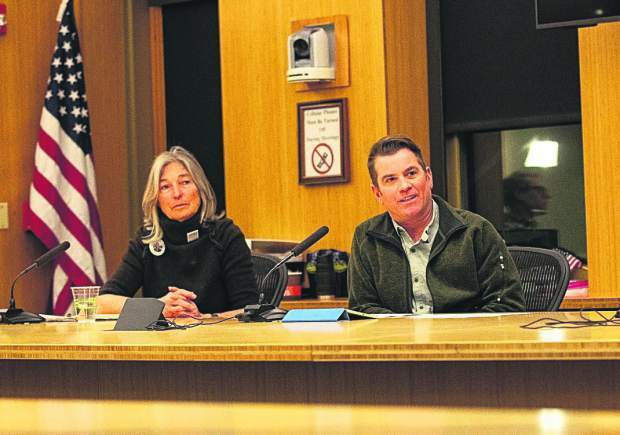 Contributors included Richards, who gave $50, Aspen City Councilor Ann Mullins, who contributed $100 and former Councilor Art Daily and his wife, Alison, who gave $200. Deb Bamesberger, an Assessor’s Office employee running against Ireland, reported total contributions of $7,776, according to her report. Her contributors included $250 from Sandy Mulcahy, mother of local gadfly Lee Mulcahy, $150 from former Aspen Mayor Bill Stirling and two $500 contributions from Maurice Emmer, a former Aspen mayoral candidate. Finally, Kelly McNicholas Kury, who is running unopposed to replace Richards on the county commission, reported contributions of $1,272.